Portable vaporizers are convenient however desktop devices will give you the best vapor quality. Would you rather breathe hot smoke into your lungs? Everybody has their preference, and you're going to need a good cannabis vaporizer for the latter option. Vaping is quickly becoming one of the most favored ways of consuming cannabis. Because it provides none of the health risks that come with inhaling combusted smoke into our lungs. People also love vaping cannabis because it's more efficient, allowing you to reduce how much cannabis you WASTE. It's more flavorful, has less smell and is easier on the lungs and throat. However if you want the best experience, you need to purchase a cannabis vaporizer that is right for you. You can select from many types of vaporizers including: vape pens, portable vaporizers, desktop vaporizers, handheld-desktop vaporizers, and of course concentrate vaporizers. With prices ranging from $50 all the way to $600, you ideally want to invest the best vaporizer for your money and that will also suit your exact needs. #1) Do you prefer to vaporize flower or concentrates? Do you want a dry herb vaporizer? Or a concentrate vaporizer? Maybe something that can do both? 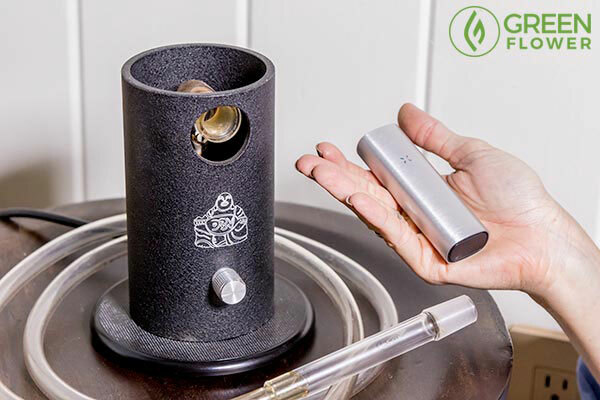 You can either be vaping cannabis flower, concentrates, or you can find types of vaporizers that do both. 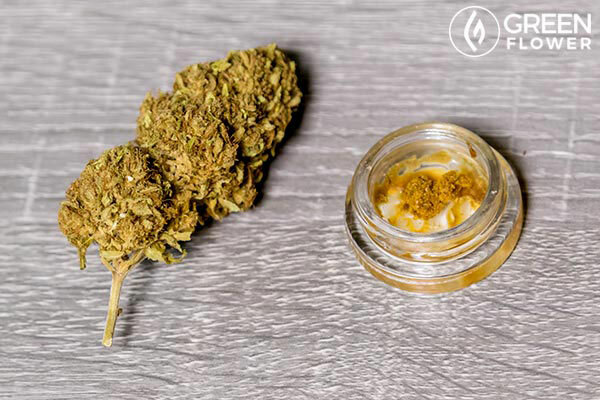 If you're unfamiliar, concentrates are the result of cannabis flower being run through an extraction process so that you get more potent cannabinoids from your cannabis with less plant material. Concentrates can come in many different forms such as oil, shatter and wax to name few. They also tend to be better for medical patients who need higher doses of THC or CBD quickly, people who have a higher tolerance, or for people who are looking to have a more intense experience. If you'd prefer sticking to regular flower, you'll just need a dry herb vaporizer designed for vaping cannabis. #2) A portable vaporizer or a desktop vaporizer? You can find portable vaporizers that are quite discreet and tiny, fitting in the palm of your hand or in your pocket. These smaller devices are usually less expensive but also tend to give you a lower degree of vapor quality. If vapor quality is more of a concern, you’ll want to consider a desktop unit – which usually requires an electrical outlet and can be more expensive, yet well worth the price if you want the best quality cannabis vapor and portability is not an issue. #3) Will you be vaping cannabis mostly alone or with others? Here you can see the Herbalizer comes with a metal pad allowing you to make the bowl smaller or larger as needed. Some herbal vaporizers have bowls that are too small for more than one person. If you are vaping cannabis with a group, that may not be the best vaporizer to use. You would need to fill the device multiple times if you were consuming with a couple other people. Meanwhile some bowls and device chambers are so big that you might wind up over-consuming if you are trying to vaporize by yourself. If you want the best of both worlds, you can also find devices like the Herbalizer. The Herbalizer allows you to put a metal pad inside of the bowl, adjusting for size. #4) Are you interested in temperature control? If you’re serious about getting the most out of cannabis as medicine, accurate temperature control is a crucial feature when choosing a cannabis vaporizer. Different cannabinoids and terpenes start releasing their medicinal properties at different temperatures. When the temperature is too high you will lose some of these medicinal properties. 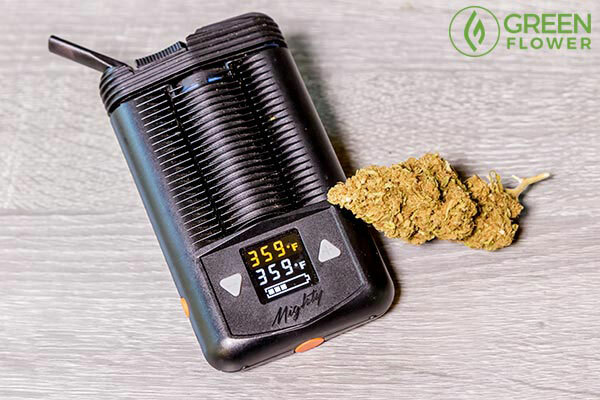 If you want to get the best vaporizer for your money, you will want to purchase a device where you can set your temperature to the exact degree, so you can get the most medicinal value out of your cannabis. 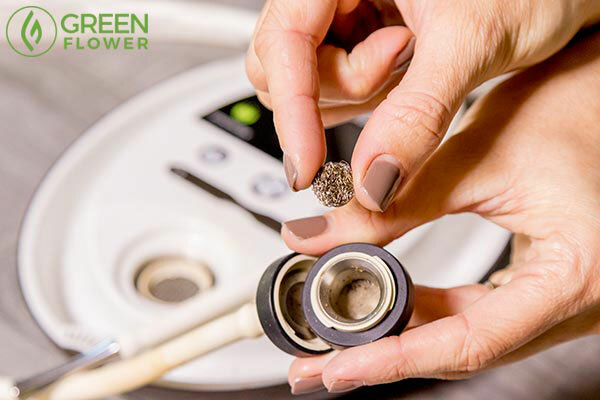 For example, if you're vaping a CBD-rich flower, it’s important to know that if your device gets hotter than 356 degrees Fahrenheit (which is lower than what most people think) you will start to burn off the medicinal value of the CBD cannabinoid. Temperature control will also allow you to better curate your cannabis experience. At a lower temperature you will find that vaping is more flavorful, the vapor feels cooler on your throat and you get lighter effects – which can be great for day-time use. Conversely if you select a higher temperature you get a more potent experience with thicker vapor, although the cannabis can taste a tad overcooked. Devices without temperature control simply don’t give you as much flexibility. You can also vaporize other herbs outside of cannabis like basil, thyme, chamomile – either by themselves or with cannabis. Each of these herbs have their own medicinal properties and tastes. They each have a different temperature where they start to release their medicinal value and where they start to boil and lose their medicinal value. #5) Which features are important for you? There are so many different types of vaporizers available from $50 all the way up to $600 and getting clear on which possible features are most important to you will help you determine which device is the best fit. Other features vaporizers can specialize in are taste, vapor production, ease of use, battery life, efficiency, look and price – and you should also take into consideration how taxing the device is on your body. Take your time and choose your herbal vaporizer wisely. If you're into vaping cannabis, hopefully this gives you a jumping off point to get clear on the features and qualities that you need to look for in order to find the best vaporizer for your money, something that will really add value to your life. It’s all too easy to get caught up in the hype of which product just hit the market or which dry herb vaporizer has the coolest features, only to find out after purchasing that it doesn't actually meet your specific needs. Purchasing a vaporizer is worth it as they are more efficient and can save you money in the long run, since you will use much less cannabis compared to when you are smoking. Not to mention these devices are much cleaner and healthier for you than smoking. A great vaporizer is an investment so don’t rush into buying a device. Take your time, get clear on your needs, and do your research before purchasing. We even recommend you look up the company website for the vaporizer you are looking at and to call them and ask questions whenever possible. Taking all the steps will help ensure that you get a vaporizer that you will enjoy, that will help enhance your life and last you a long time. Now we’d love to hear from you. Do you currently have a vaporizer and if so what are the qualities that you have found to be the most important to you. Let us know in the comments below. This way we can all learn from each other as a community.